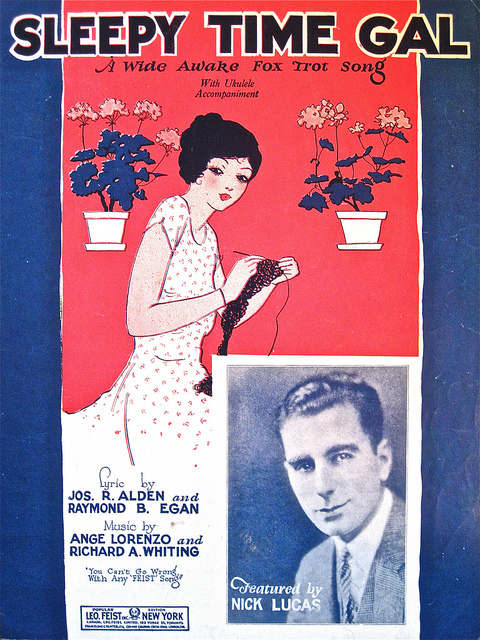 This song from 1925 is a husband singing to his wife, who likes to stay up all night and dance, therefore “turning night into day,” to please come home and go to bed. The original treatment was an up tempo comic song, but is sometimes treated more as a lament, at a slower tempo. It was widely recorded in the late 1920s. Harry James recorded it in 1944 and revived interest in the song. Other good recordings include those by The Mills Brothers and Josephine Baker. “Sleepy Time Gal” was recorded in Fall, 1965 and released that year on the album A Time For Love. The song was arranged by Johnny Keating and features Bobby Hackett on cornet.